Mauritania is a country in the Maghreb and West Africa. It is bordered by the Atlantic Ocean in the west, by Western Sahara in the north, by Algeria in the northeast, by Mali in the east and southeast, and by Senegal in the southwest. It is named after the ancient Berber Kingdom of Mauretania, which later became a province of the Roman Empire, even though the modern state covers a territory far to the southwest of the old kingdom. The capital and largest city is Nouakchott, located on the Atlantic coast. Tullow Oil plc (Tullow) announces that new Production Sharing Contract (PSC) arrangements have been agreed with the Government of Mauritania and its Joint Venture partners. These arrangements will enable the Group to progress the appraisal and development of existing discoveries and pursue exploration in a new contract area covering 10,725 square kilometers with Tullow as operator. The new arrangements, reached through transactions with partners and PSC awards from the Government, result in the exploration areas of the PSCs previously known as PSC-Area A and PSC-Area B being replaced by a new, single Exploration PSC called C-10. Tullow will operate this new PSC with a 59.15% interest. The existing Banda, Tevet and Tiof discoveries have been ring-fenced under their original PSC terms and extensions of up to 18 months have been granted to allow appraisal and development activities to be completed. Petronas will continue to operate Chinguetti Field on the basis of the original equities. Tullow will now work closely with the Government of Mauritania and its Joint Venture partners on the near-term commercialization of the existing discoveries and the initiation of a high-impact exploration programme. The development of the Banda gas and Banda oil rim discoveries will be prioritized and it is expected that the results of initial development studies will be presented to the Government in early 2012. The high impact exploration programme is expected to include a minimum of two wells over the next three years. Following the various agreements with partners and the Government of Mauritania, Tullow has significantly increased its equity position in the region. As a result of this increase in activity in Mauritania, Tullow expects to significantly enhance its presence in Nouakchott, with a strong focus on the development of local staff and local content wherever possible. Furthermore, Tullow will be looking to award a number of bursaries to suitably qualified students from Mauritania. 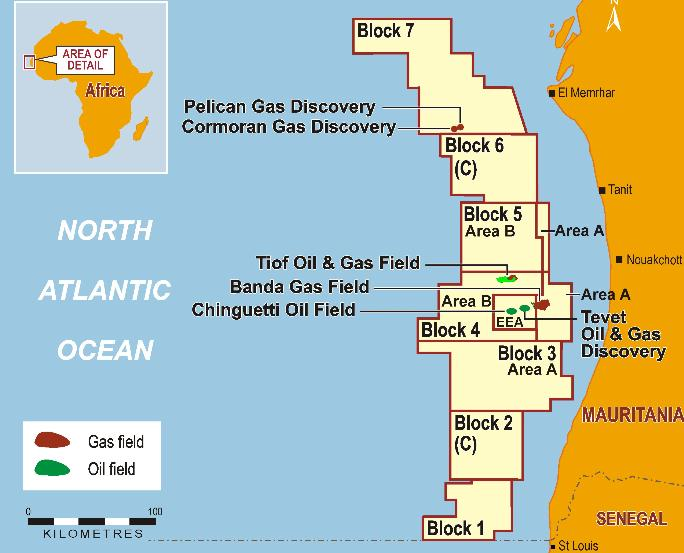 Roc Oil (Mauritania) Company and Roc Oil (Chinguetti) B.V., each wholly owned subsidiaries of ROC, have agreed to sell all of their respective interests offshore Mauritania to Tullow Mauritania Ltd, Tullow Petroleum (Mauritania) Pty Ltd and Tullow Chinguetti Production Pty Ltd, wholly owned subsidiaries of Tullow Oil plc (“Tullow”), for US$4 million subject to working capital adjustments. 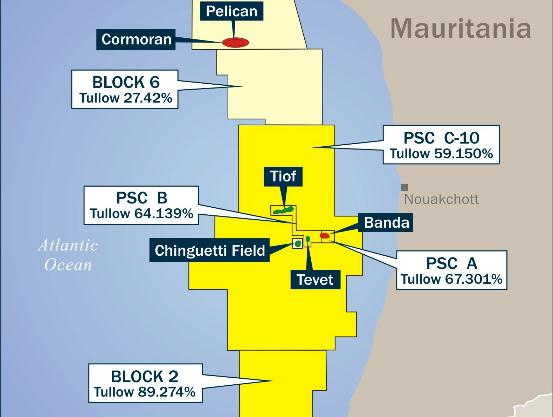 ROC has interests of between 2.00% and 5.49% in offshore Mauritanian blocks, including a 3.25% interest in the producing Chinguetti oil field. The divestment will take place through the sale of three separate packages. The effective date of the sale is 1 January 2011. The agreement and completion of each separate package is subject to normal industry terms and conditions, including the receipt of relevant joint venture waivers or approvals and all necessary government approvals. Completion of the sale for all of ROC’s interests may not take place during 2011 due to issues associated with the approval process.